Sara Khosrowjerdi is a licensed acupuncturist at the Acupuncture Atelier in Hoboken. She received her Master's of Acupuncture with honors at Tri-State College of Acupuncture in NYC. Being Reiki Level 1 & 2 Certified, she also has a vast understanding of the Chakra system and the role it can play in the healing process. At Acupuncture Atelier, her primary practice focuses on the unique treatment styles of Kiiko Matsumoto, with whom she studied for three years. Using KM Acupuncture as a base, Sara always integrates and supports, using Traditional Chinese Medicine, Acupuncture Physical Medicine, Reiki, and essential oils. She is the healthy living expert in our column, “Sara Says,” offering tips on staying zen, healthy, and happy in our fast-paced lives. 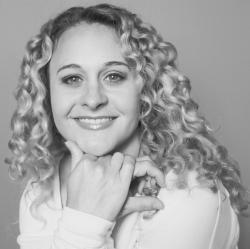 When not working full time as an acupuncturist, Sara enjoys yoga, cooking and free style dancing.